If you have a problem with unwanted creepy crawly guests or rodents in your home, you will want to look into pest control equipment to effectively get rid of the issue. Professional high tech pest control equipment is usually used by pest control Toronto professionals, although there might be a situation where you would need to use it yourself as a homeowner. However, most of the time it is operated by someone who has a pest control service and is trained in proper pest control techniques. This is a device that is used to spray insecticide. It usually consists of a portable stainless steel tank and a hose that is connected to a wand, which sprays the insecticide out of the tip. Having a good quality pump sprayer is important so that you can get the chemicals into the right place and make sure they are effective. Also, the wand is usually around 18 inches long – which allows you to spray while staying within a safe distance from the target. The long wand is also a great way to spray difficult to reach spaces. This is a type of equipment that is similar to a sprayer as it uses liquid pesticide. However, instead of spraying the pesticide it will atomize the particles so that it forms a pesticide fog. It is safe to use foggers both indoors and outdoors and with many models you will be able to adjust the size of the particle to fit the application. For example, smaller particles work better indoors and larger particles should be used outdoors to help the solution settle faster. A duster is another device that allows you to spray insecticide dust and get rid of pests. It is operated like a bellows and it allows you to place the insecticide into the smallest crevices and cracks. A duster is a simple device and it contains a chamber for dust, as well as a filter that will ensure that the dust is distributed evenly. Dusters are very helpful tools for getting the pesticide into the small cracks around the home. These are just a few examples of types of high tech pest control equipment. This equipment is very useful when it comes to getting rid of unwanted pests in your home as quickly and efficiently as possible. Seeing a cockroach will be likely to ruin your day. If there is one there are more. Not only is it disgusting to have a pest problem, but it is embarrassing as well. Friends and family might start thinking that you have a serious hygiene problem or that you can’t clean your home properly. Pests happen and it’s nothing to be ashamed about. 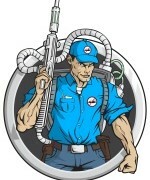 There are both professional exterminators as well as insecticides you can purchase to help you get rid of the problem. According to Markham exterminator, most over the counter insecticides do not work. The first step in selecting which of the latest pest control insecticides to get is to identify the problem organism. The reason for this is because not all insecticide is effective against all pests. Chich bugs might be resistant to something that will kill off the Asian cockroach. If you misidentify the trouble organism then you will not be able to effectively treat the problem. There are guides out there to help you as well as extermination businesses. Finally, when choosing an insecticide it is very important to select the one effective for treating your pest, but also the one least harmful to human health. There is a wide variety of the latest pest control insecticides and they all have different effects. Always read the label. Never use a toxic product like this before reading the label. There will be important information about the active ingredient, the types of plants or sites where it can be applied, as well as the potential harm it can do to humans. When using insecticide you are literally handling poison, and you should treat it as such. There is general purpose pest control which should never be used indoors. These products can be effective in treating areas that humans rarely come in contact with like cracks, crevices, and baseboards. Some of the best and latest pest control insecticides include: Demand CS, Demon EC, Cynoff WP, and Talstar. The two letters at the end of the product name give valuable information about the product. For a complete key you can refer to the Citizen’s Guide to Pest Control and Pesticide Safety on the government’s website. Knowing what you’re treating will help you be effective in eradicating the pest. The general products listed above are great and effective and their use. Make sure that you always read the label and that you treat the insecticide like poison, because that is what it is. Finally, don’t spray pesticide in areas where it will get into the city’s water supply. Getting pesticide in the water is not a fun situation to be in. In our high tech world, where we’re always trying to find methods to ensure that creepy crawlies are kept out of our houses and away from us, sonic pest repellers which promise to keep almost whatever crawls or scuttles out from the house, have become very popular. 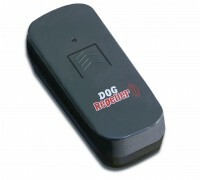 Those things which we don’t want to see or hear around the house so it may be worth will be targeted by a pest repeller. These gadgets function by emitting a sound high for the human ear. Needless to say, this doesn’t apply or rodents so they hear this excruciating sound they simply turn around and go someplace else. These plugin models are used in offices and houses and they all will have distinct varieties. Some will promise to treat the issue within an average house, while one will be recommended by others on each floor. Either way, they’re an extremely clean manner of keeping unwanted visitors out plus they are not dangerous for pets and kids . It used to be that sprays and pesticides had to be used around any house. Coupled with poison baits, this proved since no one needs to breathe in these noxious fumes to be somewhat dangerous. Poison bait was also not overly safe where little hands could pick it up so the result was that the laugh at had to be placed in inaccessible areas where the rodent issue really is that might not be. For people who want to know more about this type of merchandise, doing just a little homework may well provide an ever-growing issue with the perfect solution. For instance, some gadgets emit ultrasonic sounds, in addition they emit ions which clears the air of almost any bacteria also. This can be amazing when pets and children are resident since we cannot understand what’s floating around causing issues. Whatever the trouble is, be it spiders, ticks, rodents or other bugs that are unmentionable make sure the gadget covers just what the house needs ridding of. It might not be worse here add other gadgets later on the worst has been removed and to target the worst issue. As an example, if mosquitoes are the primary issue, and illness can be caused by these blood sucking bugs for sure, then make sure the gadget is made especially for these. Really, there are some smaller battery used variations of these gadgets which individuals can wear about their clothing from sucking blood from your unsuspecting victim to prevent mosquitoes. These are excellent for nights or picnics since it is the prime time. For the house, the controlled variants are not the worst since no one needs to keep checking on batteries on a regular basis. These gadgets can only be plugged in and forgotten about once and the effects should be seen fairly fast after that they have been working. Look for some amazing bargains or ‘two for’ which make life somewhat more efficient.